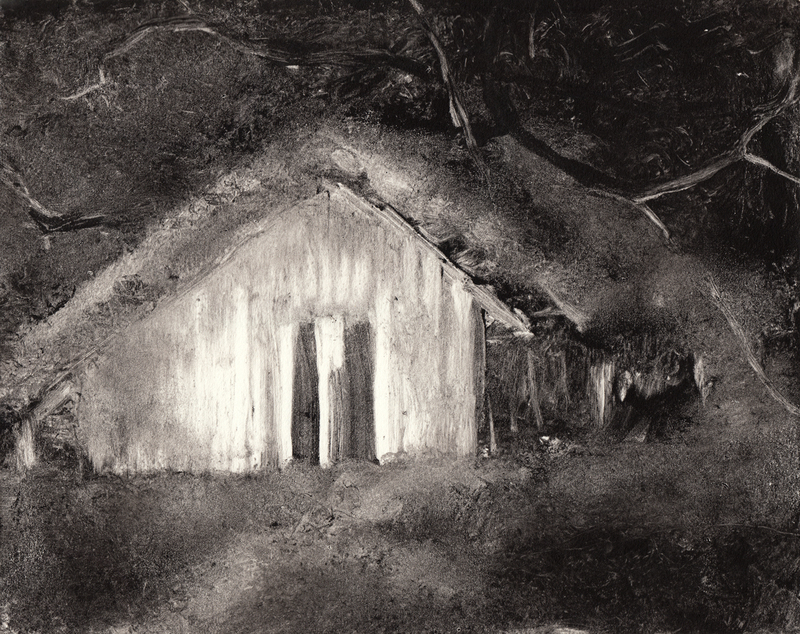 The Art of Colleen Blackard | Revealing beauty and light through drawings in unexpected media. 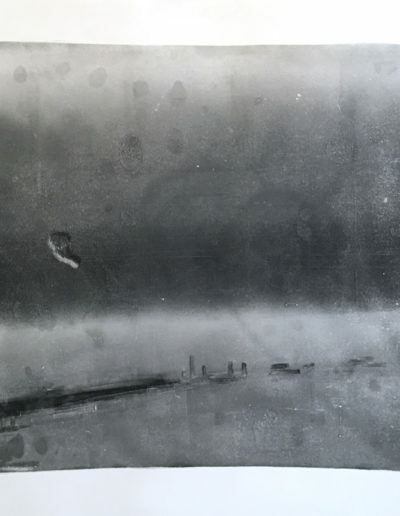 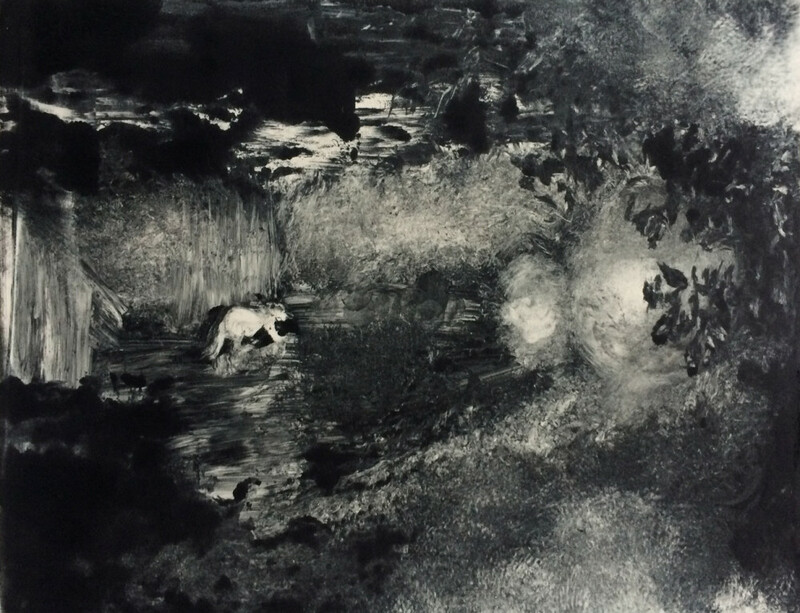 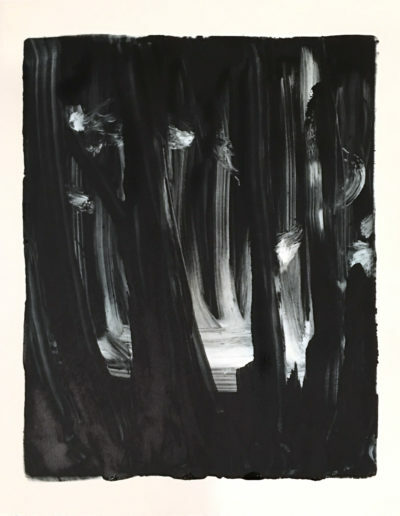 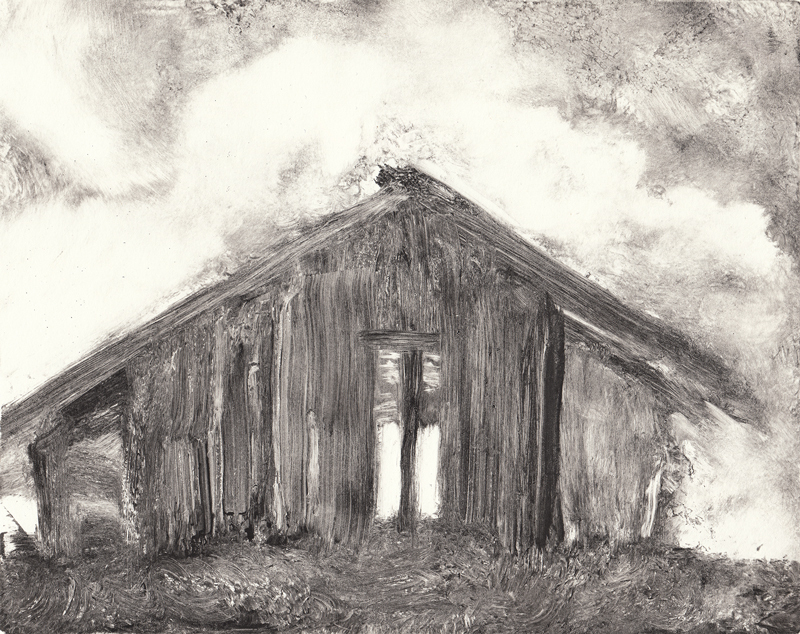 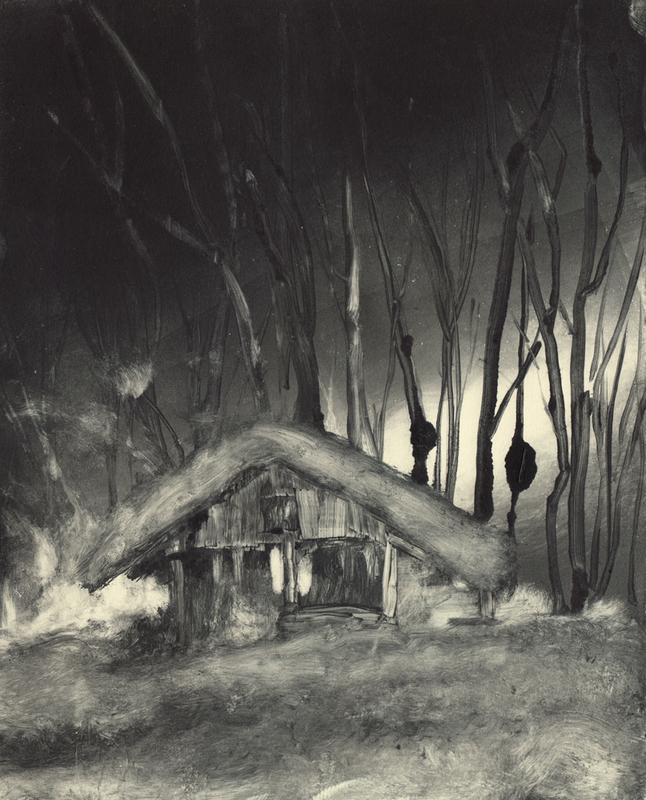 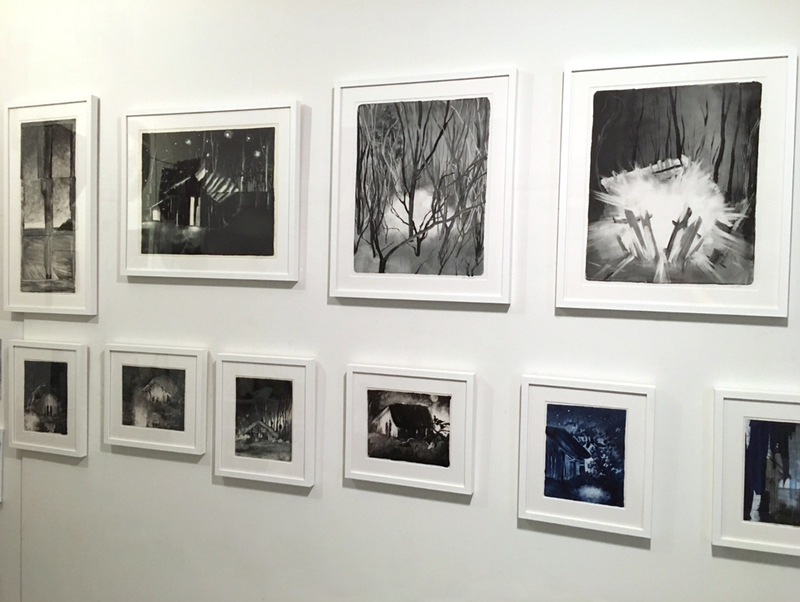 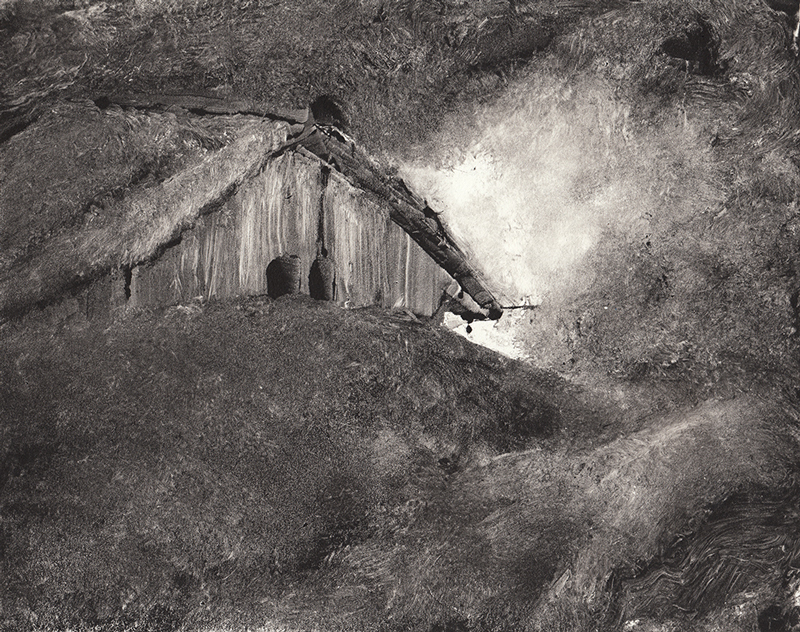 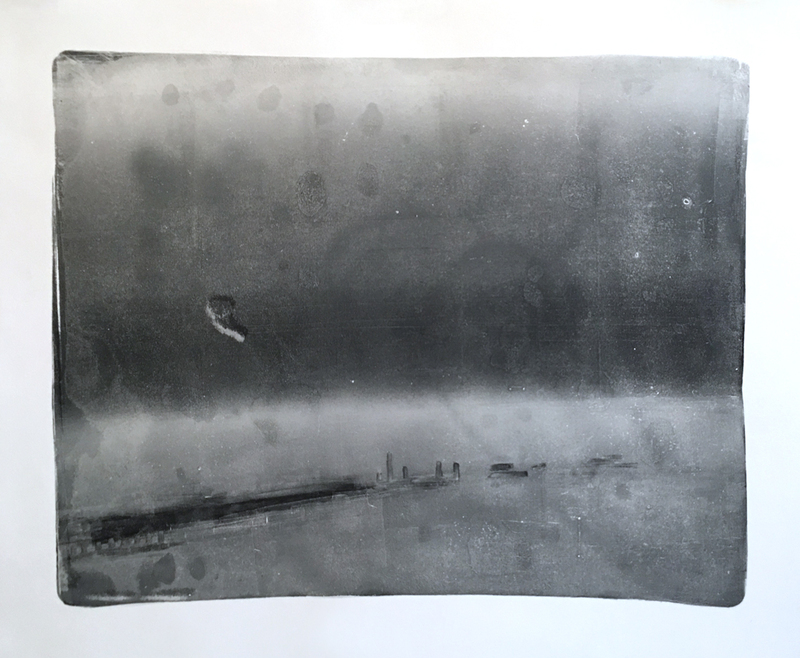 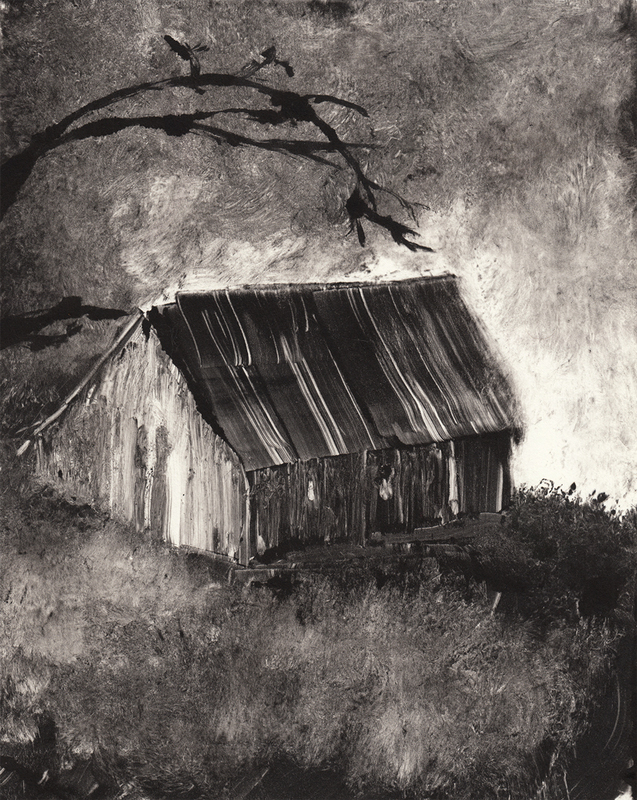 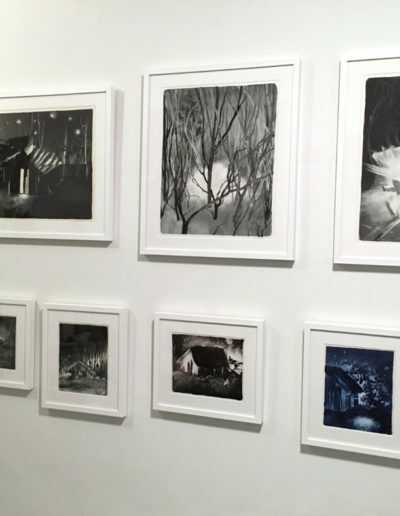 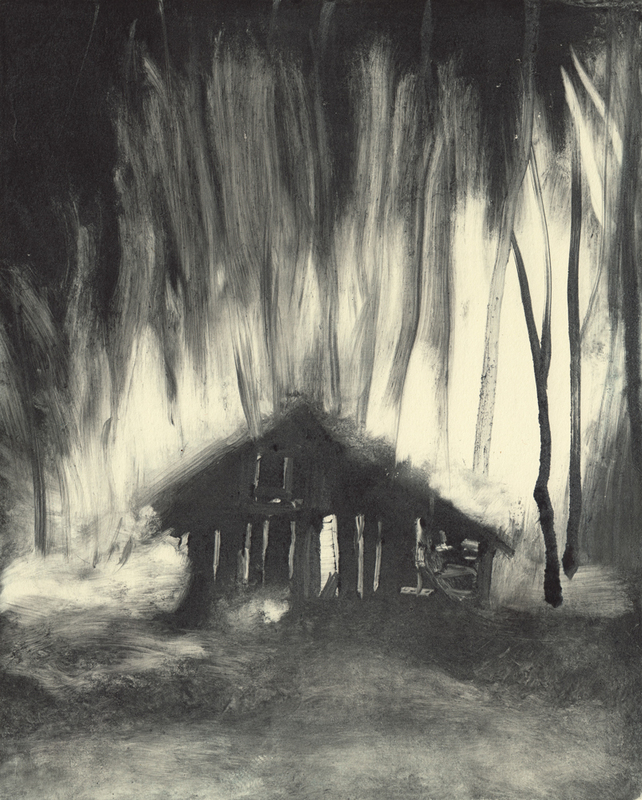 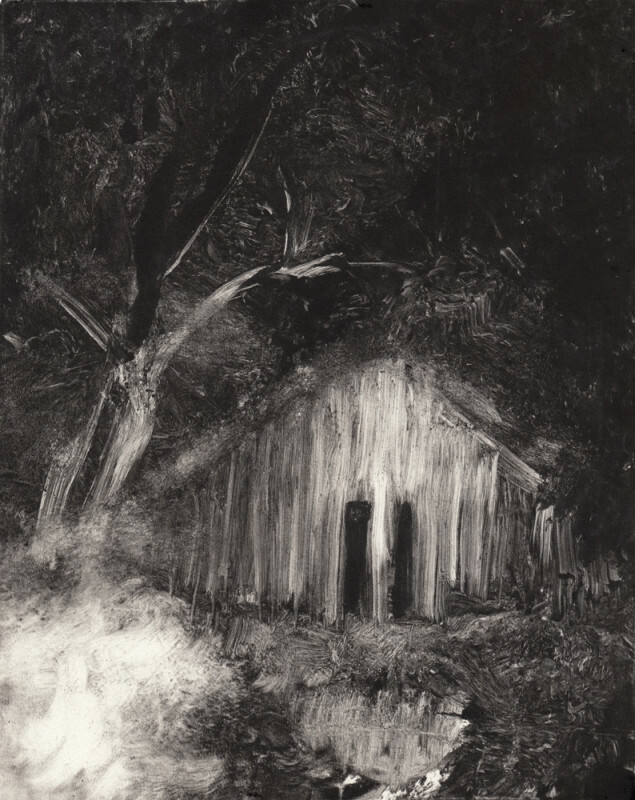 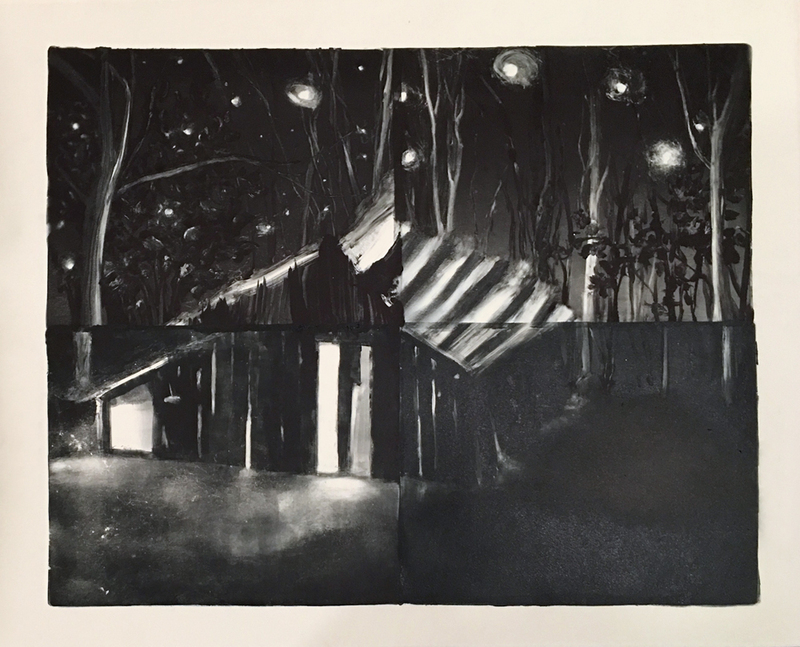 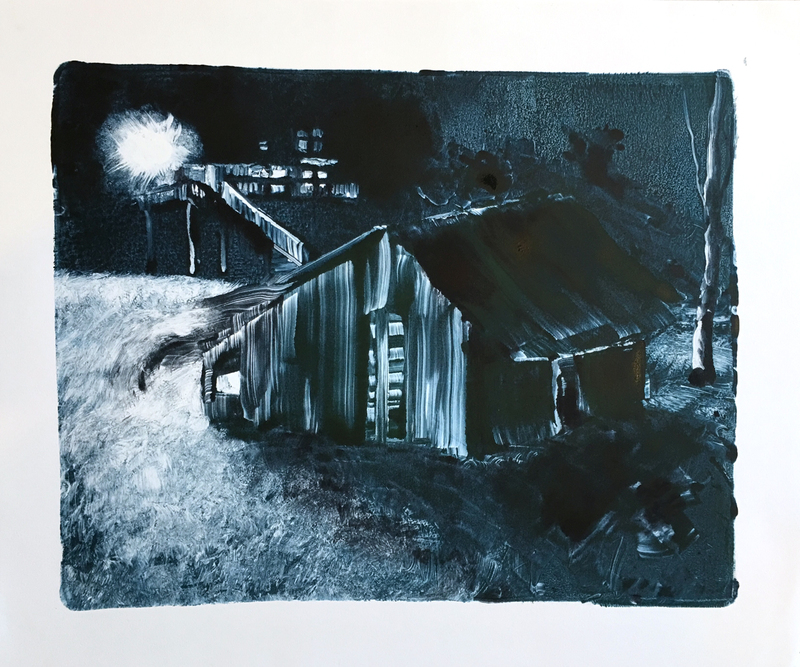 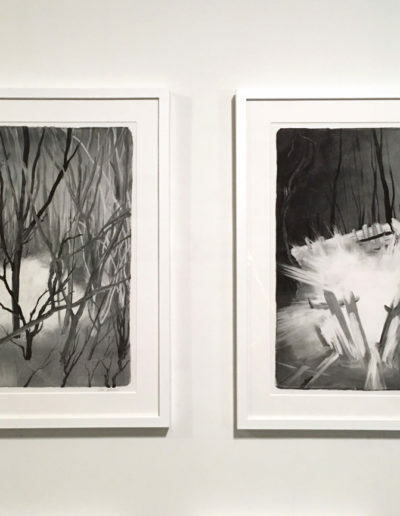 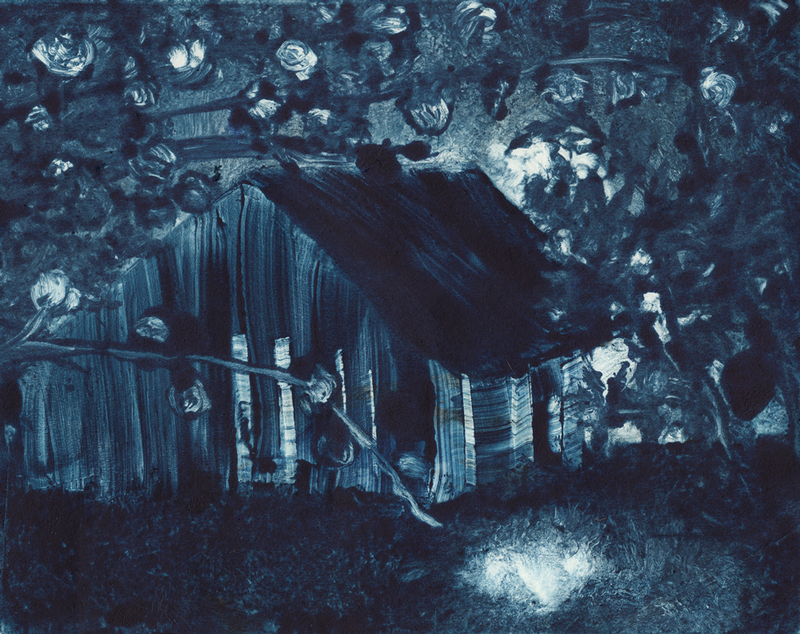 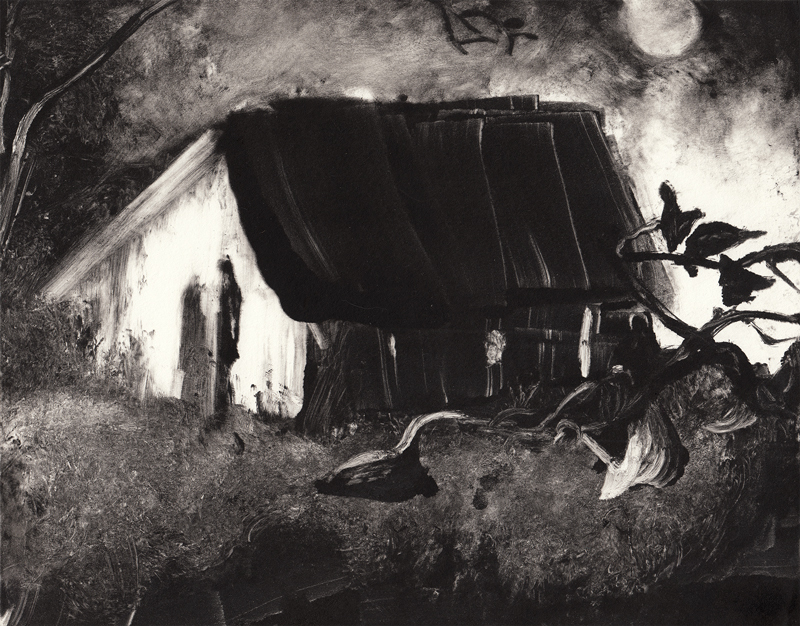 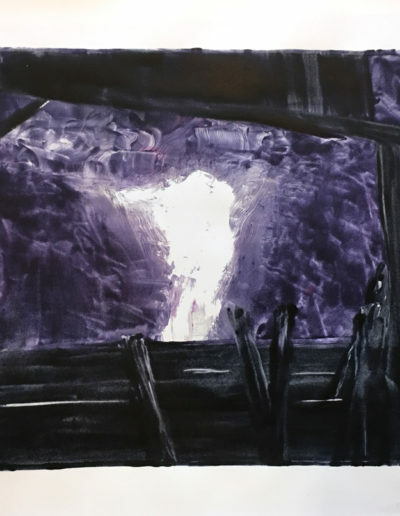 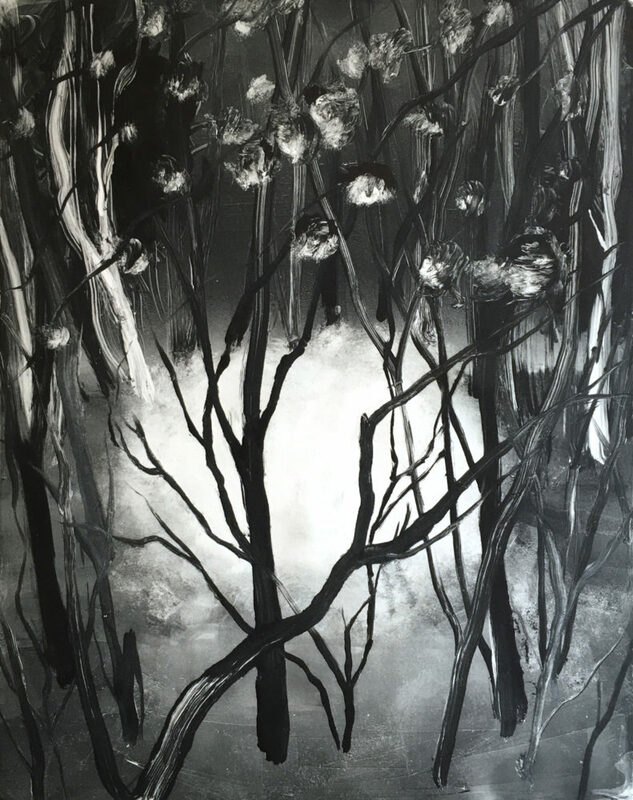 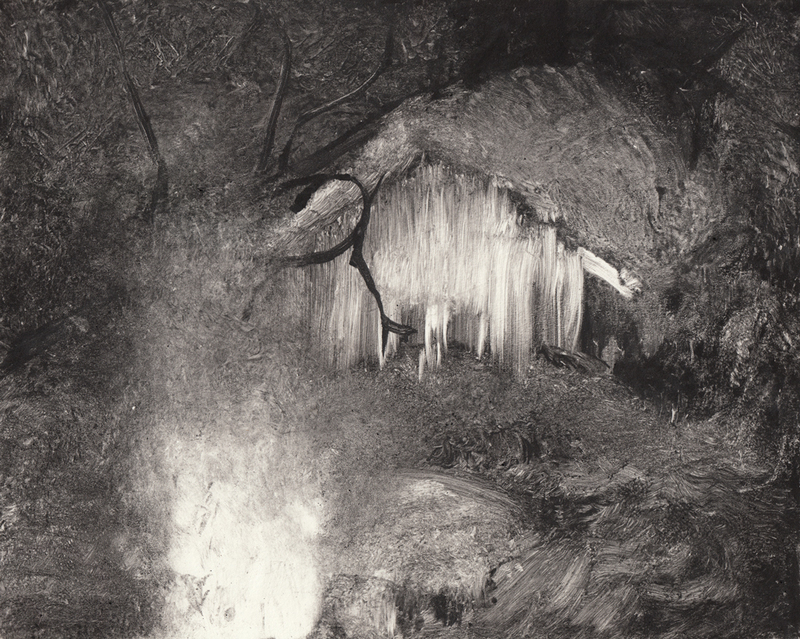 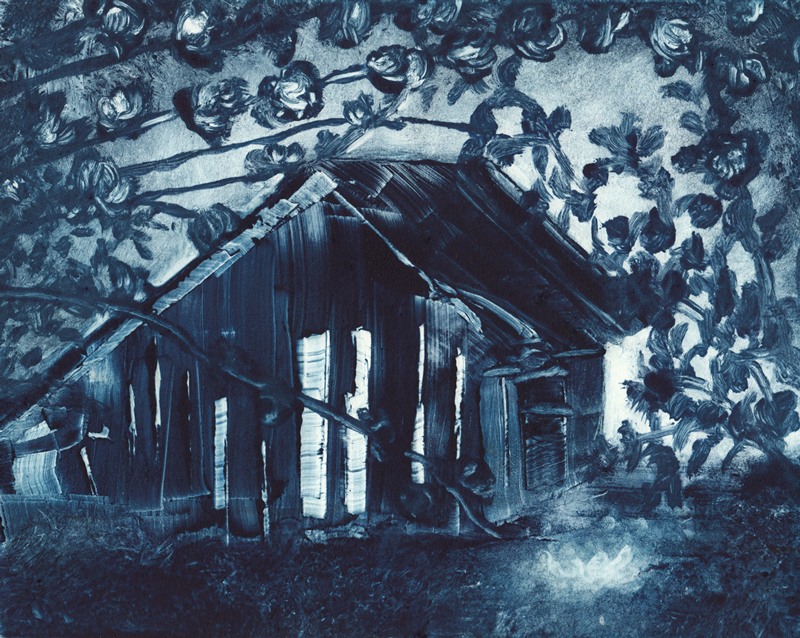 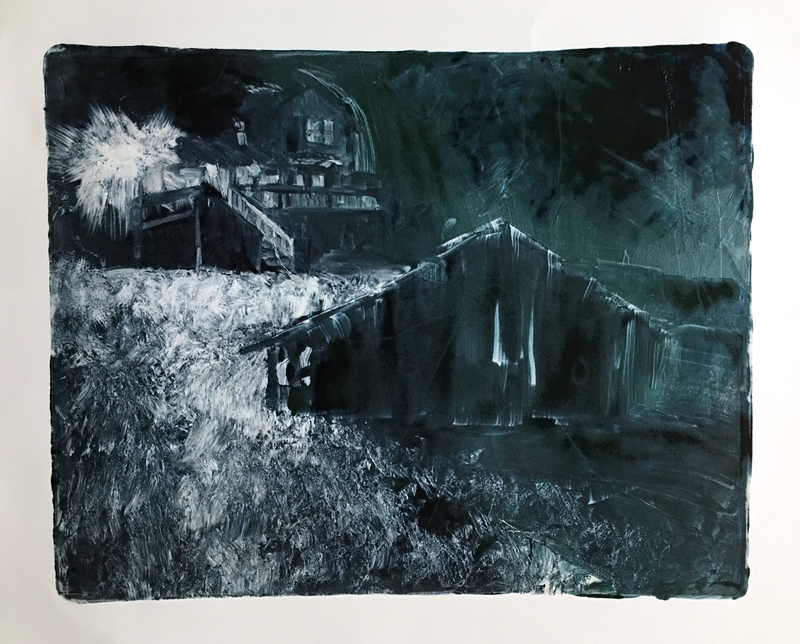 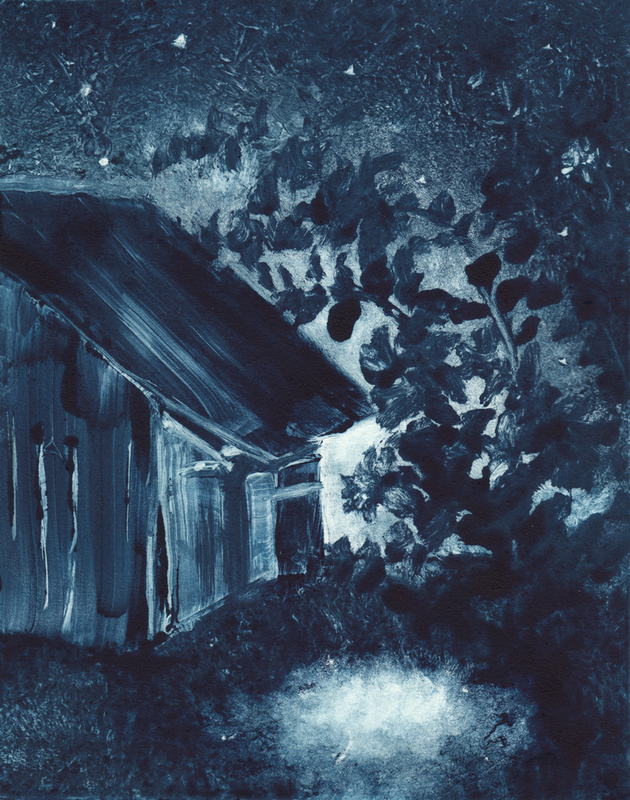 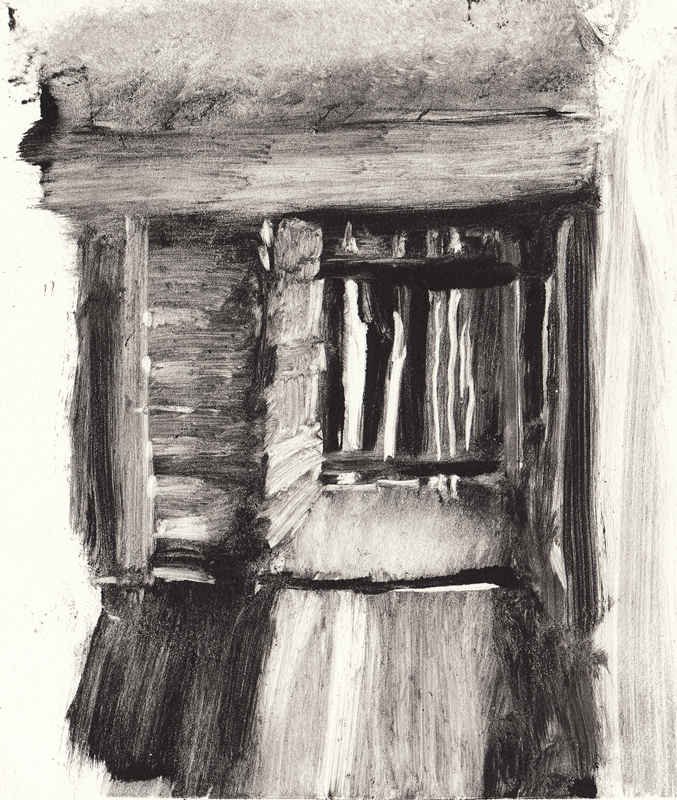 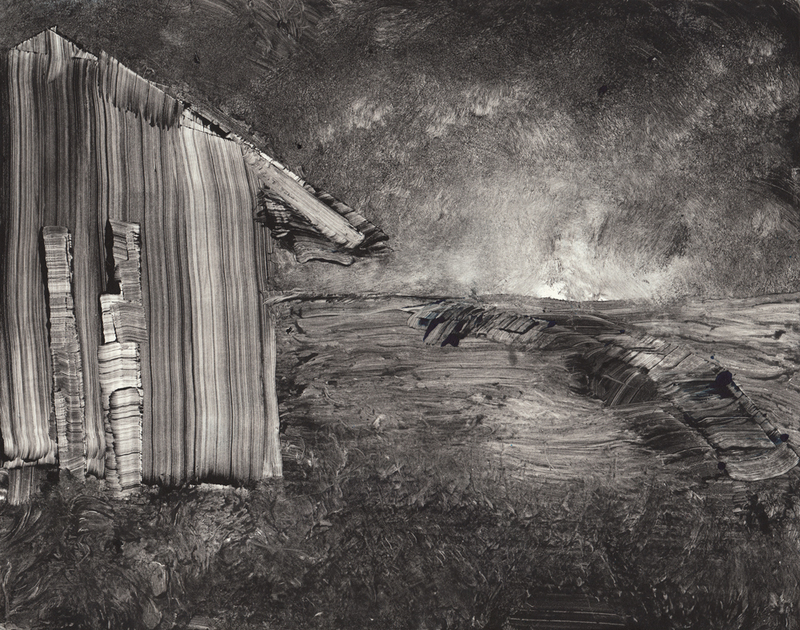 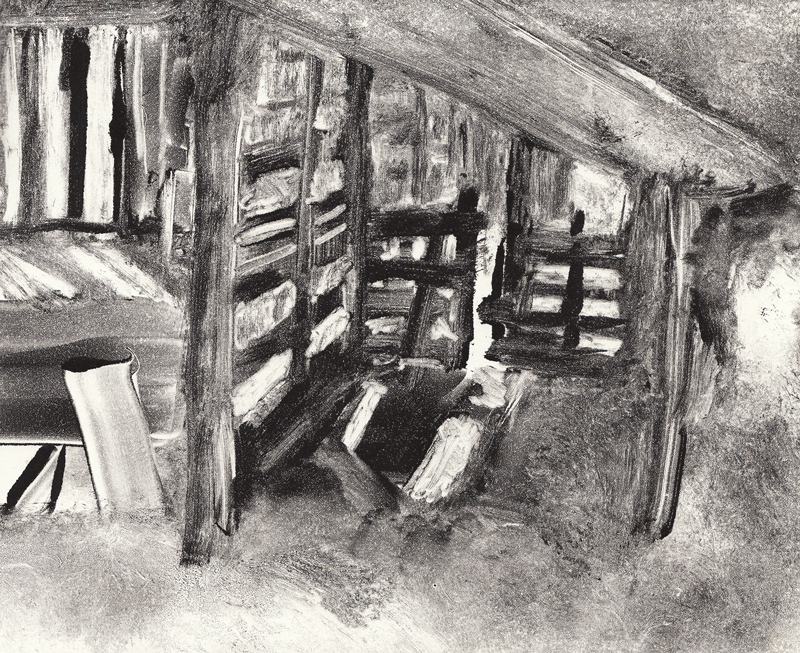 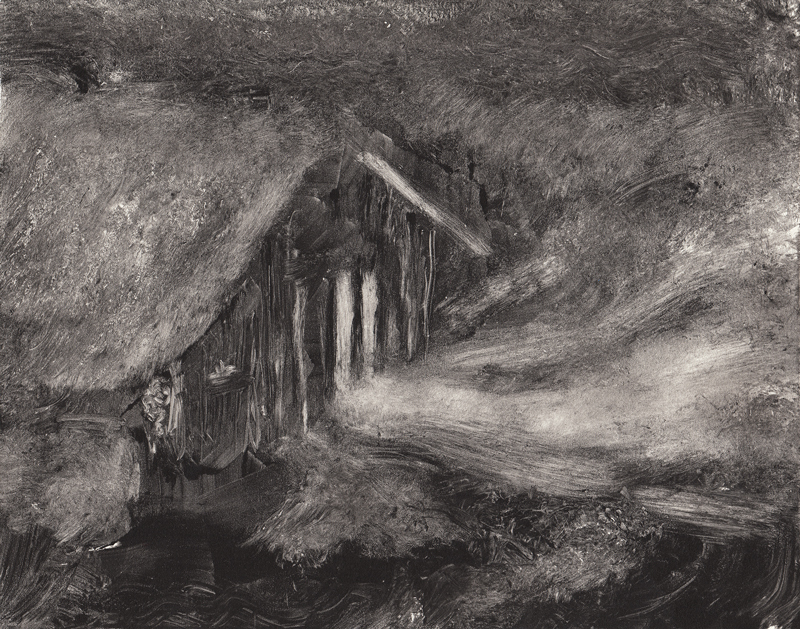 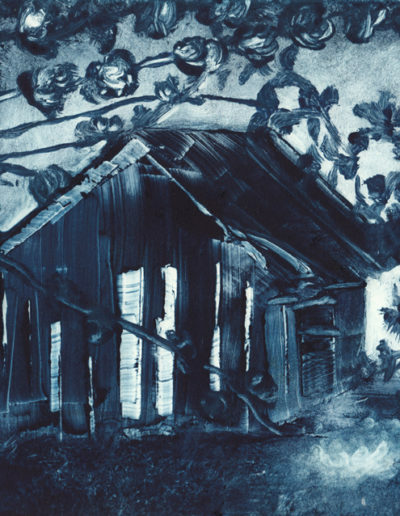 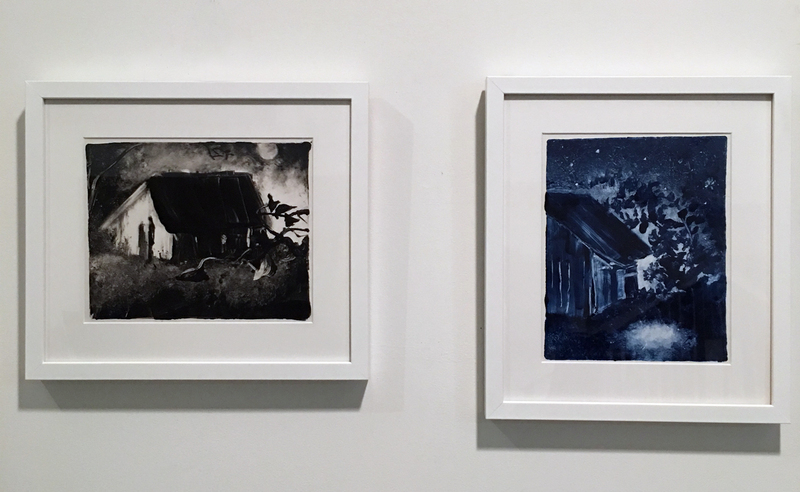 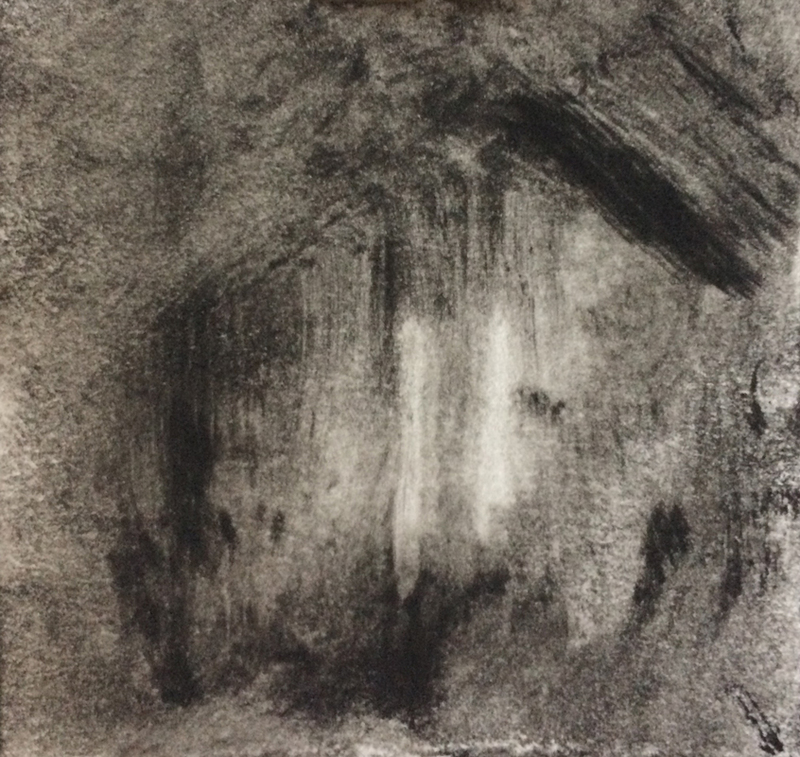 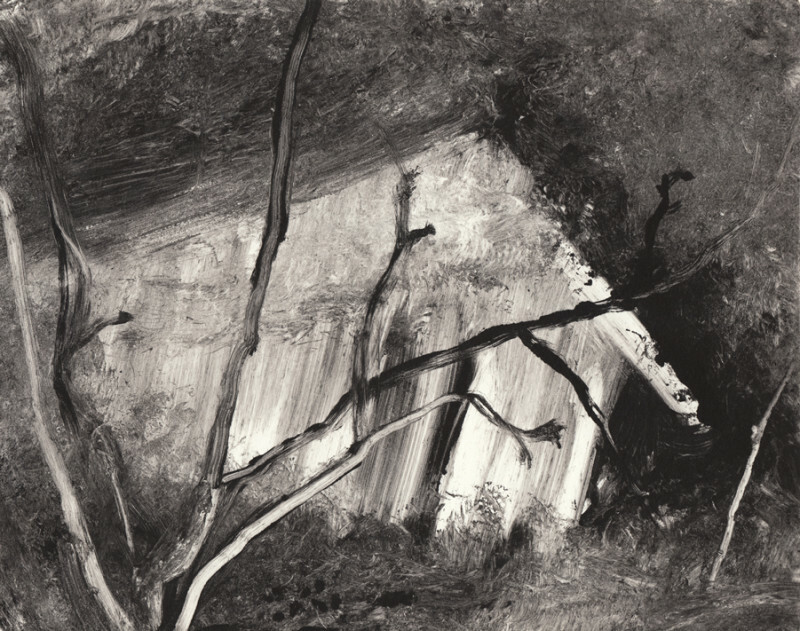 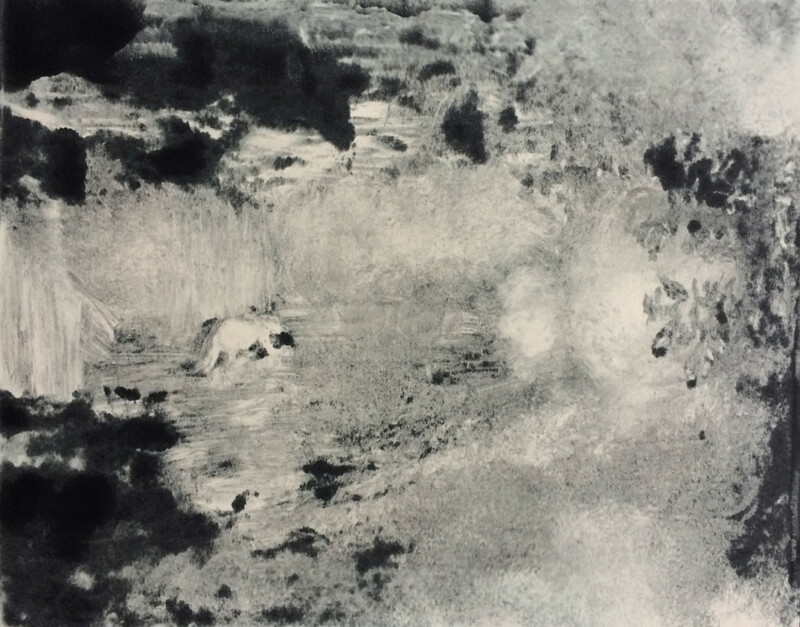 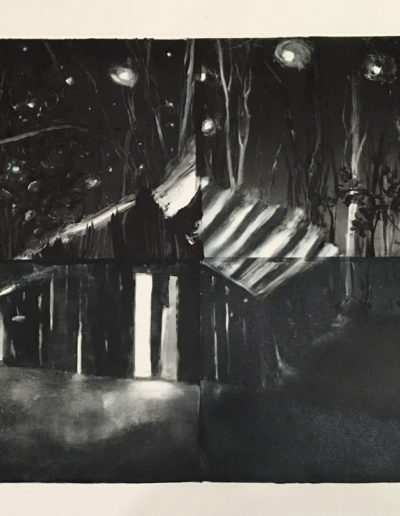 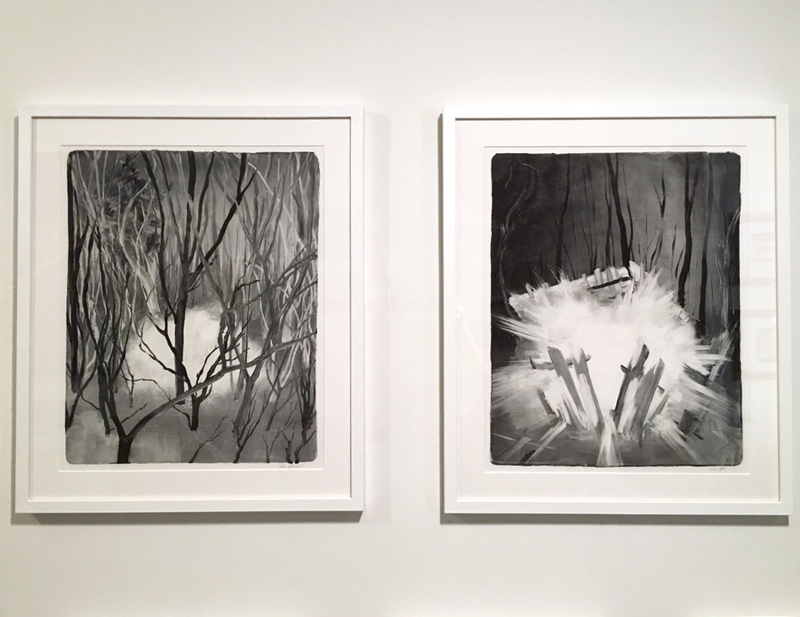 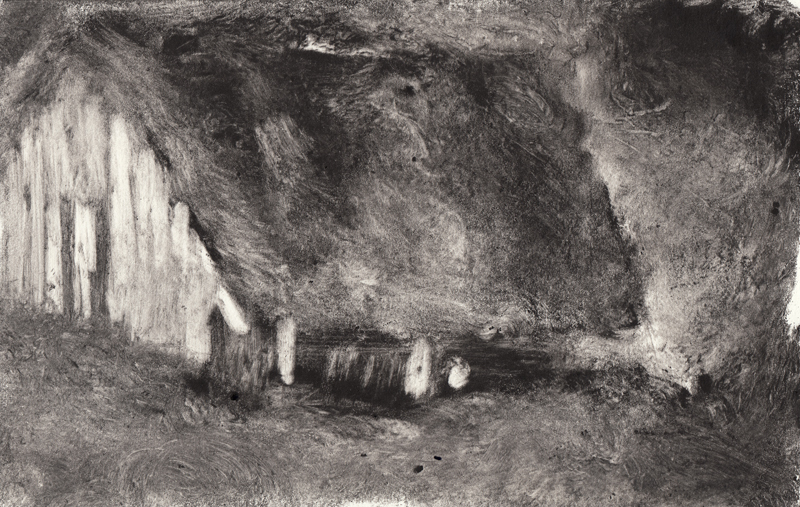 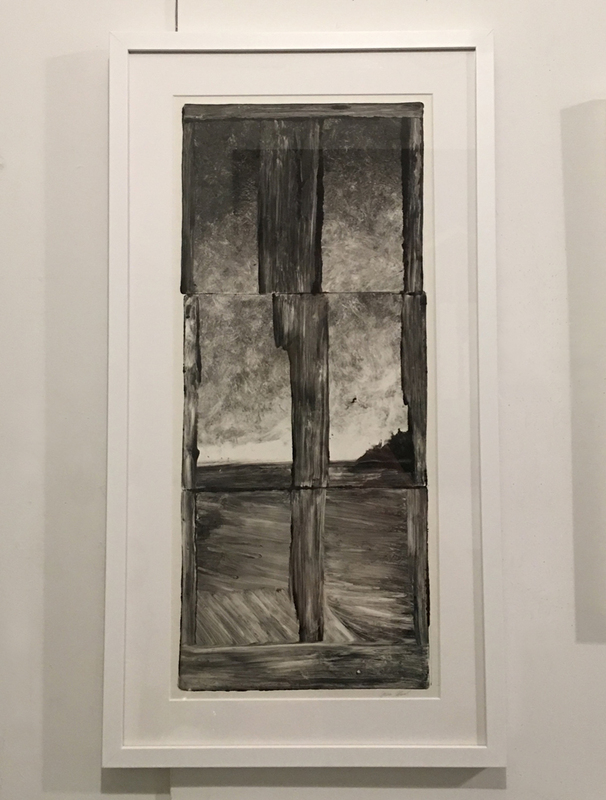 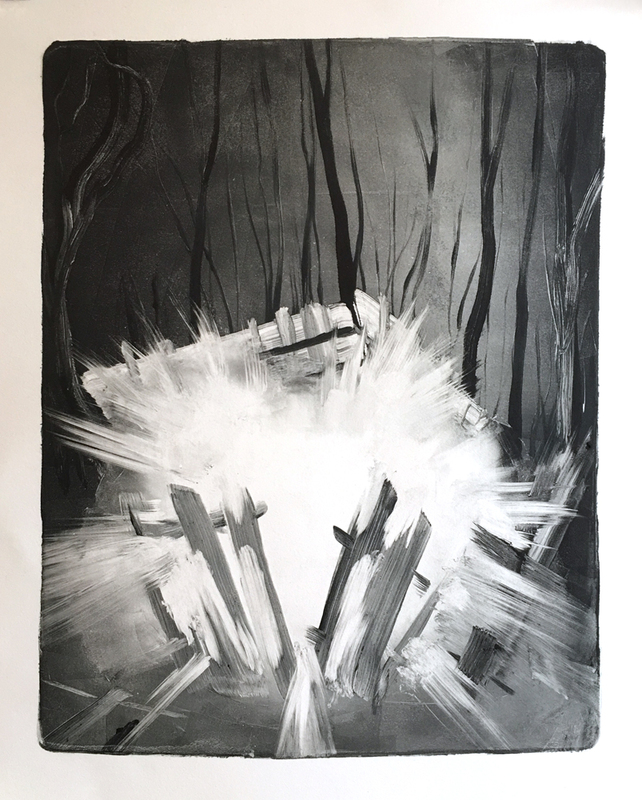 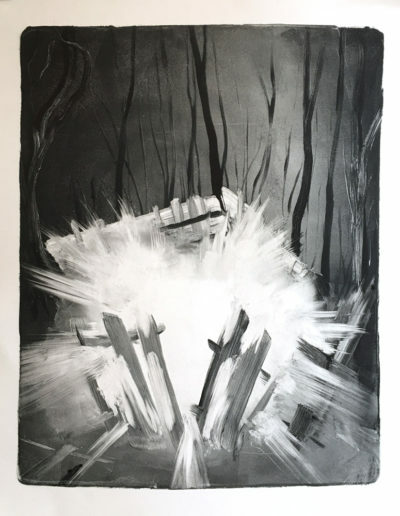 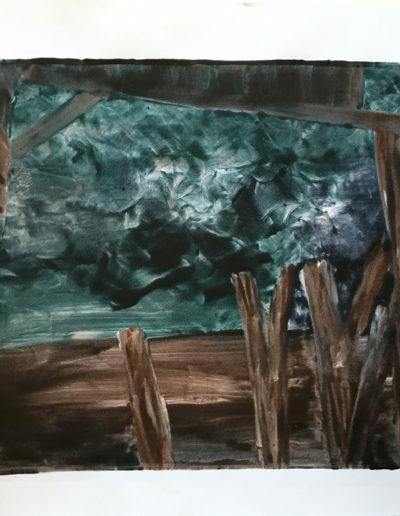 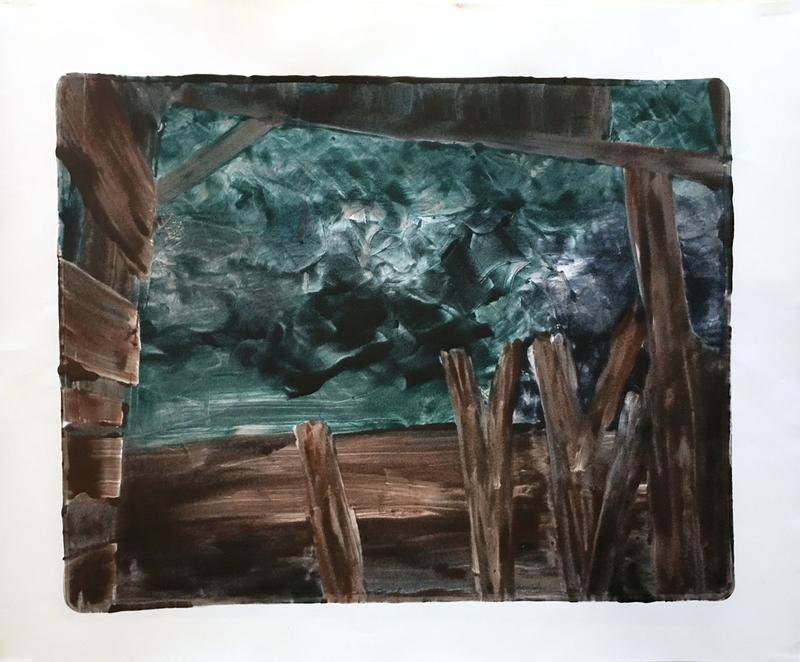 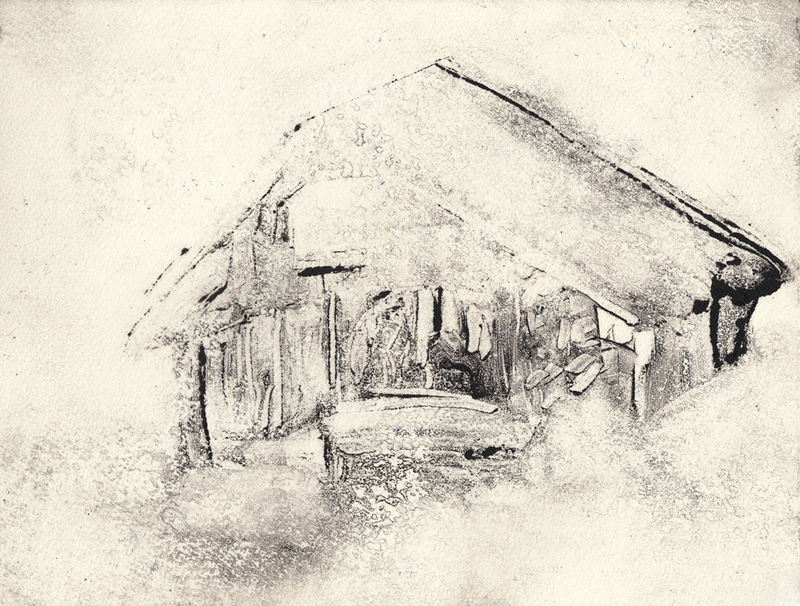 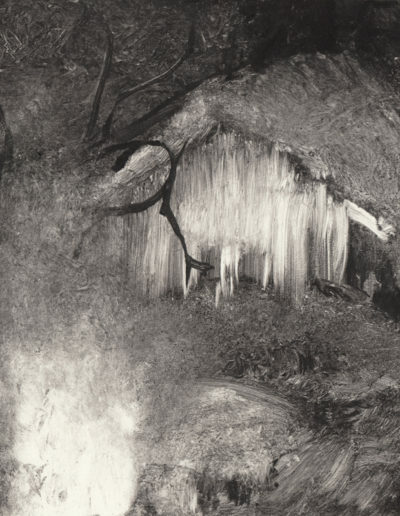 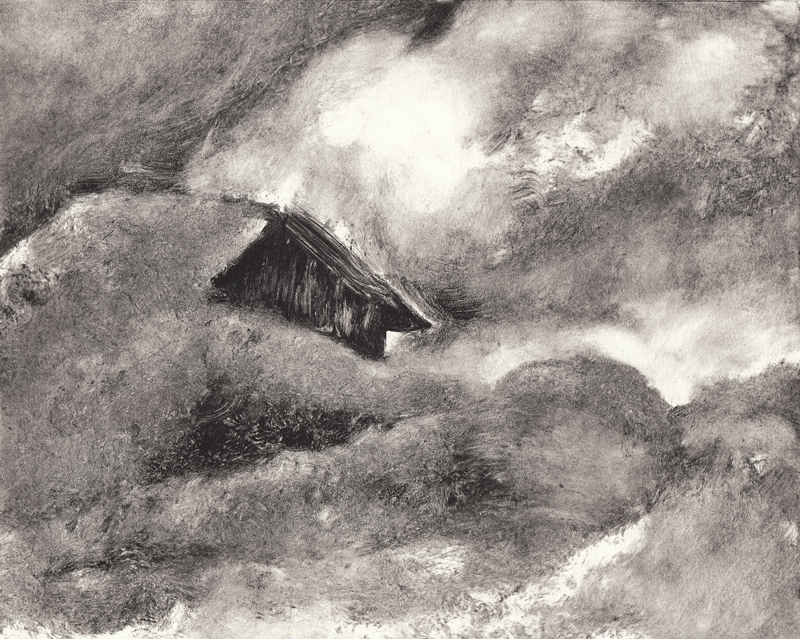 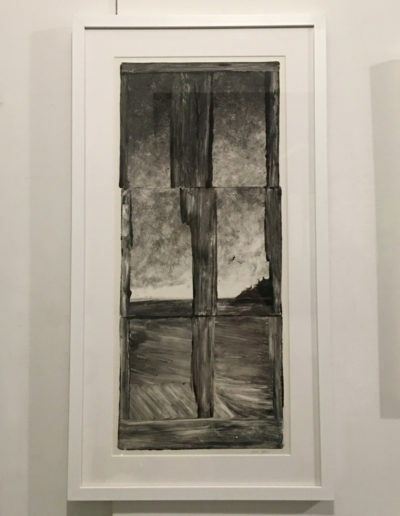 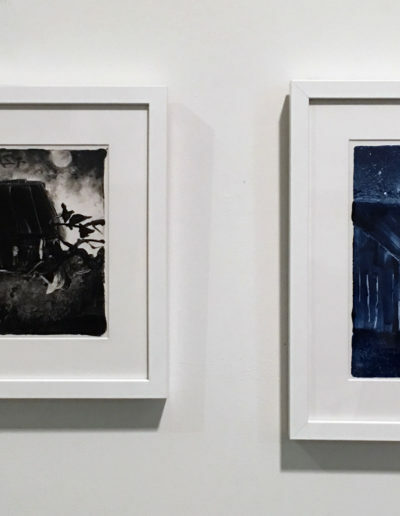 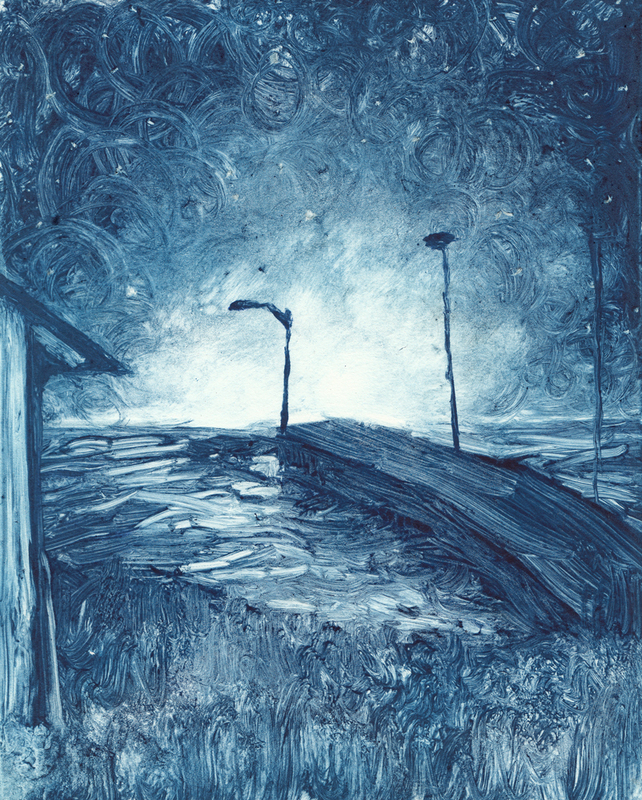 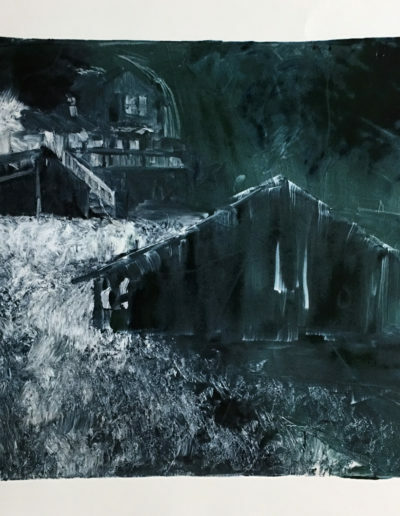 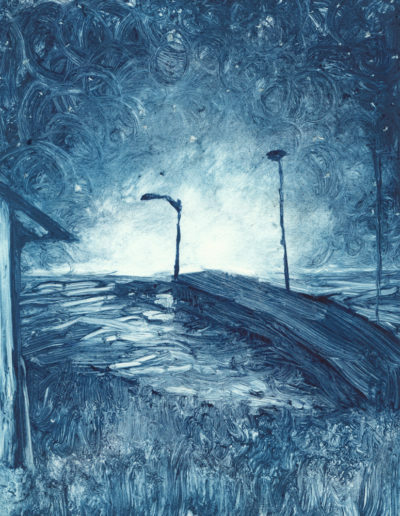 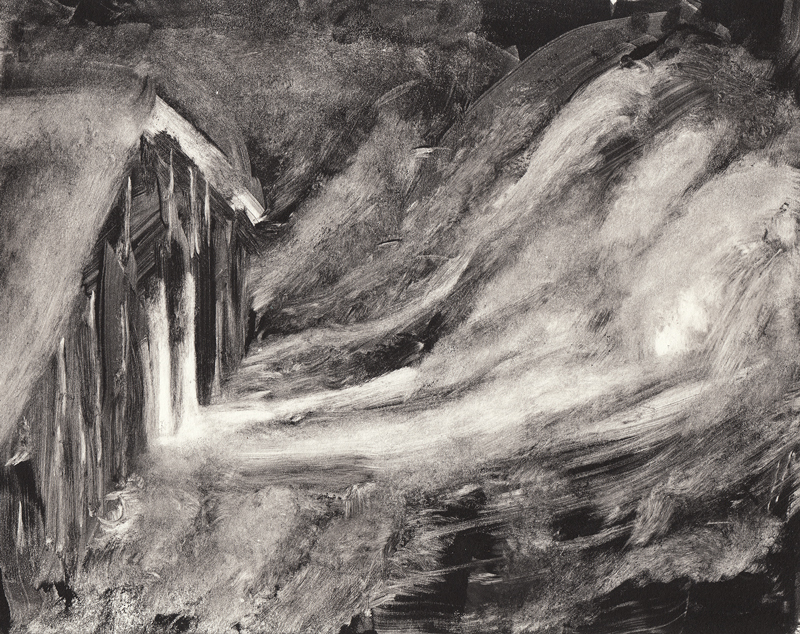 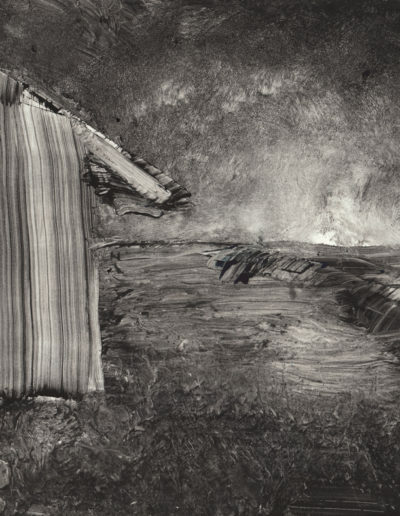 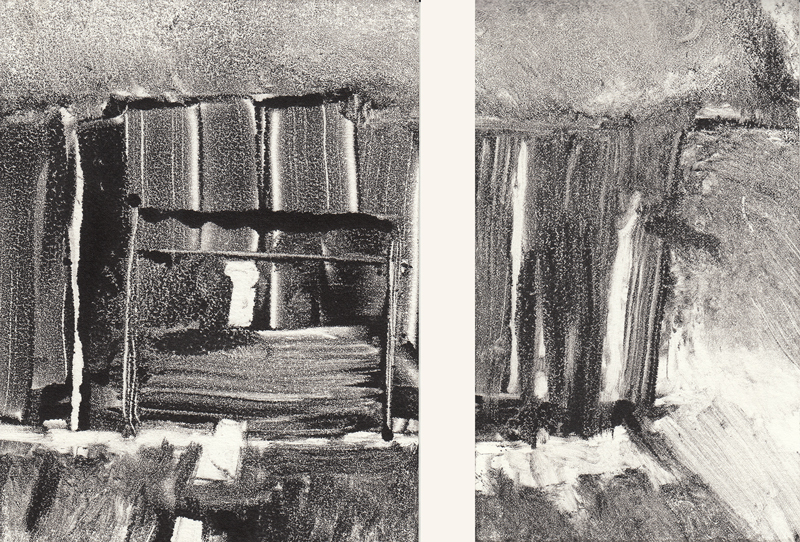 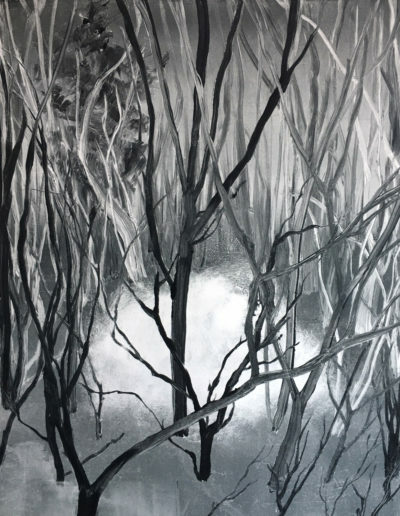 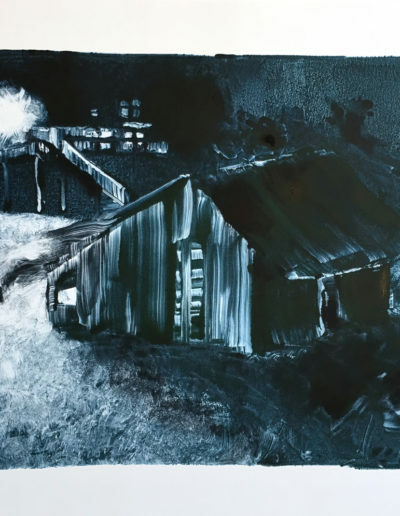 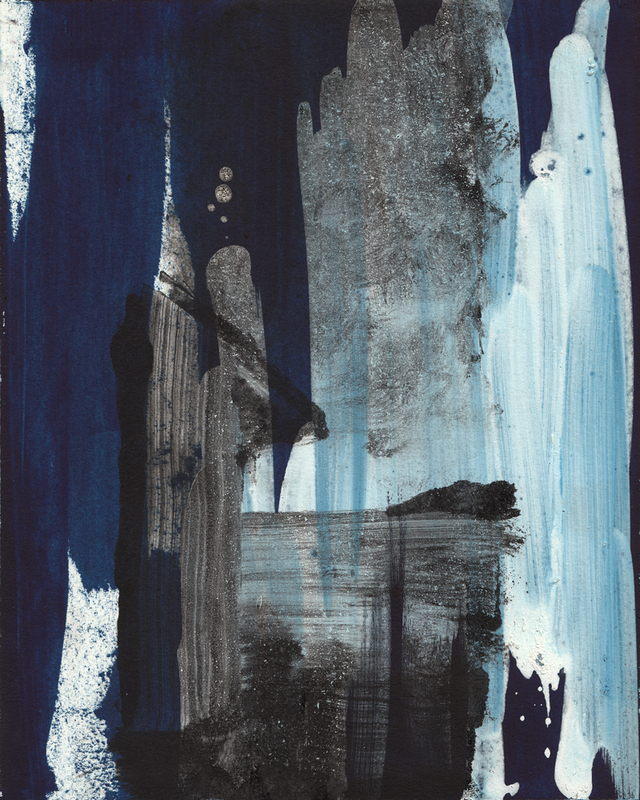 As an exploration of light and space, this series of monotypes examines the journey from isolation to connection as personified by an abandoned barn. 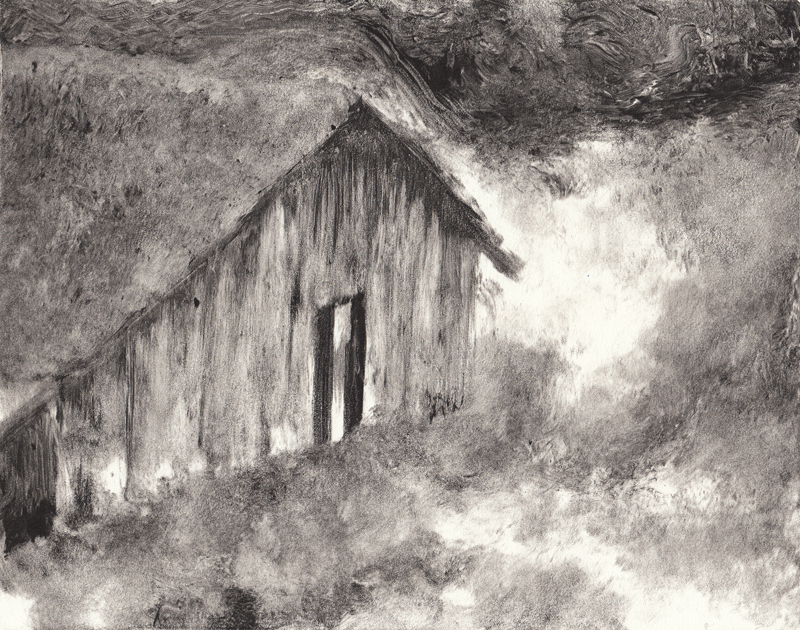 Based on my early childhood perceptions of emotional abandonment, some are enchanting and others haunting. 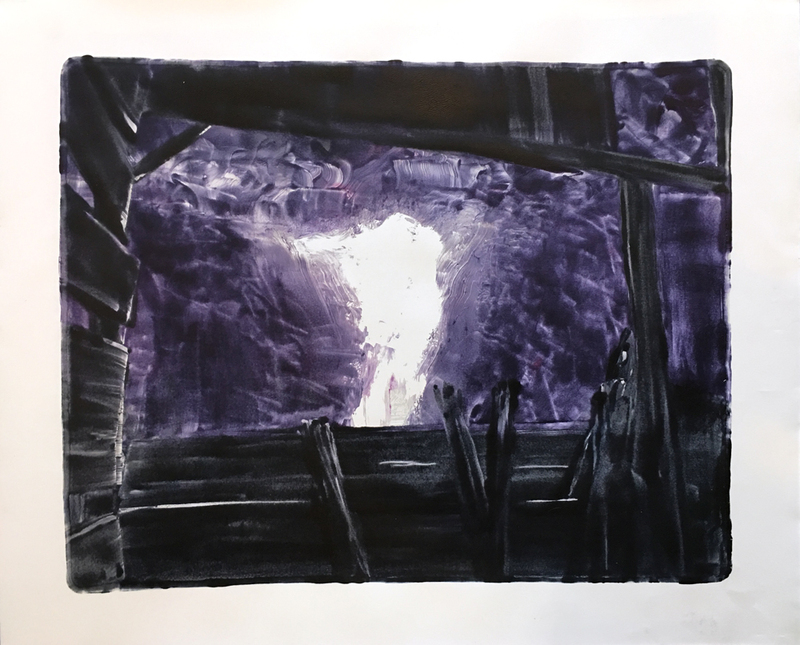 The dramatic light on the structure serves as a vehicle for emotional expression, ranging from looming darkness to explosive inner-light. 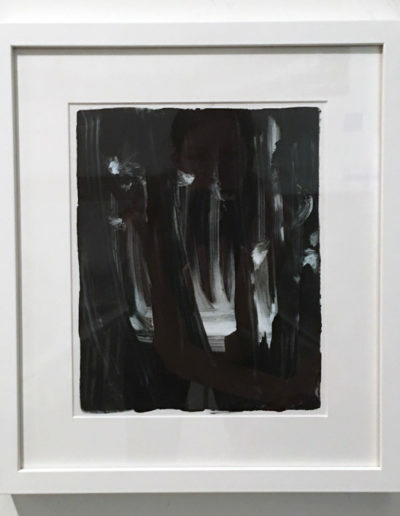 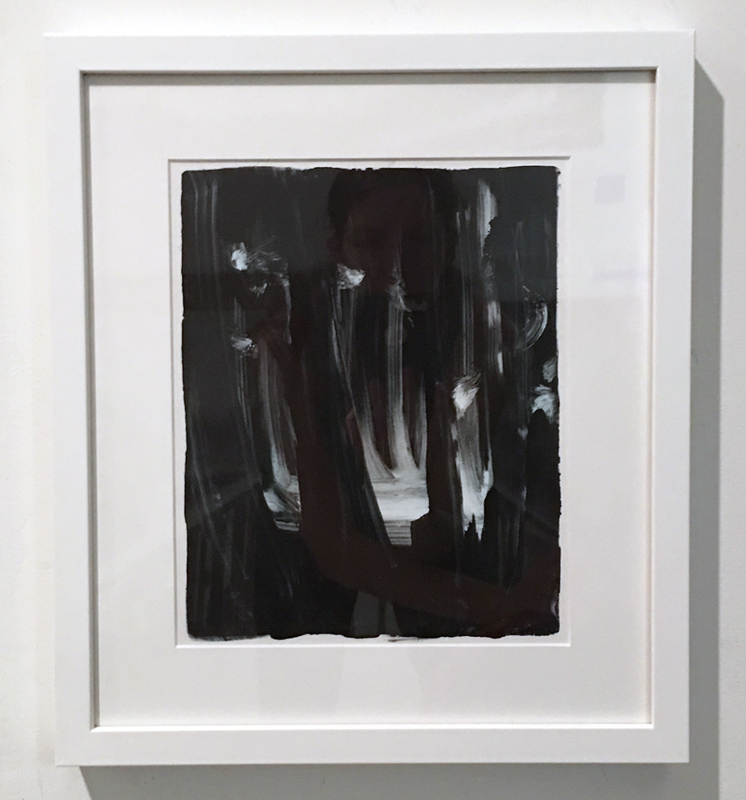 The marks are gestural and the images distorted, reflecting the shifting nature of emotional memory.